On Friday May 27th 2016, Donald Trump effectively became the Republican nominee to be President of the United States. This means that come the end of the year, Donald Trump could very well be given the keys to the White House, and in doing so, become the leader of the most powerful nation in the world. Analysts, political commentators and many retired politicians have largely spent the last 12 months ridiculing the idea that Trump had even the slightest sniff of becoming President. The assumption seems to have been that Americans would see sense eventually, and that all his bravado and headline grabbing was just temporary, and that when it came down to it, he’d be rejected. Society would not allow itself to believe that it was stupid or crazy enough to allow Trump to get close to the Presidency. The thing is, society may not be ‘stupid enough’ to elect Trump, but it sure is broken enough. Make no mistake about it; at best, Trump is a publicity obsessed, ego driven narcissist who says what he says and does what he does for shock value and column inches. At worst, he’s a racist, bigoted, lying, sexist megalomaniac who believes that those who are different are to be feared and women are second class citizens. You choose. So how is he in a position to be President of America? Simply put, Trump’s currency is fear, and fear is a powerful thing. Remember, what’s the most common command God gives in the Bible? It’s ‘don’t be afraid’, and there’s a reason for that. Fear is very real, and humans are extremely susceptible to it. Trump’s campaign feeds off it. Be afraid of immigrants. Be afraid of Mexicans taking your jobs. Be afraid of the Middle East. Be afraid of Islam. Be afraid of China’s economic power. Be afraid. But Trump then wants you to trust him to fix it. And because he offers what sound like solutions (i.e. 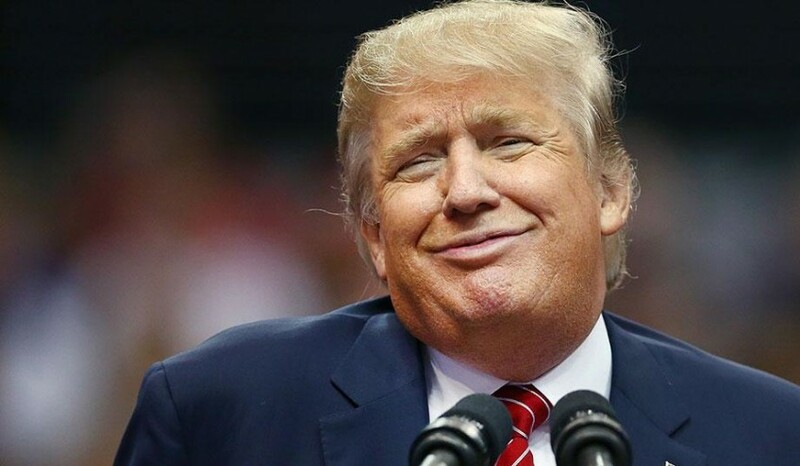 building a wall to stop Mexicans getting in, letting no more Muslims into the country, bombing all Middle Eastern enemy soldiers and their families), instead of political jargon, there are a certain amount of people who believe what he says. And even if they don’t, it sounds like a solution, so they’ll go with it. Having said all that, you may not believe what I’ll say next. Now don’t get me wrong, he has a moral obligation to look at what he says and what he does, recognise that much of it is despicable, and change. However, I maintain that it really isn’t his fault that he’s in the position he is now. Those directing their energies into ridiculing him, getting angry at him, and bemoaning his rise are missing the point almost entirely. The fact is, he would not be US President-elect if the world around him wasn’t so utterly broken and in need of a saviour. Society is reaching out to Trump in an act of desperation. They don’t know where else to look. You see, the world is completely obsessed with self. * If we look at the worldwide migrant crisis, far too much time is spent on what accepting migrants would do to our country, rather than what it would do for the people coming in. * If we look at how we analyse the economy, we’re invariably concerned with how a Government Budget will affect us, rather than how it might help or hinder someone who needs help. * How much money do we spend on ourselves compared to people and causes that need the help? To remind you, God tells us not to be afraid more than anything else in the Bible. However, His Kingdom is also for all. Everyone. All inclusive. All shapes, sizes, races, backgrounds and statuses. The Kingdom doesn’t discriminate. It doesn’t fear. It isn’t selfish. It isn’t proud. It doesn’t boast. It looks outwardly, not inwardly. It is the antithesis to the world in which we find ourselves. We read in Acts 2 how the early Church was generous, accepting, fearless and fruitful. The early disciples gave all they had, without thought for themselves, in the name of Jesus, and in the name of bringing God’s message to their locality, and ultimately through the city, country and to the ends of the earth. In a world where the message is so often for us to ‘be afraid’, and to look after your own above all else, the message of Trump can be intoxicating. He says he is willing to get rid of all those who threaten your livelihood. He says he is willing to destroy anybody who could possibly blow up a plane that you might be on. He is essentially saying that he is willing to protect you from anything that you might conceive to be a threat to you. That is not the way of the Kingdom. So don’t be too hard on Trump. Pray for him. Pray for the people of America. Pray that many may be released from fear, and in saying that, pray the very same thing for ourselves. Trump is just a product of what has happened to a world that has forgotten who its God is. He didn’t create the problem. He merely provides an answer that isn’t helpful. Jesus provides the answer the world needs. The below is often read at weddings. That’s not why it was originally written. The apostle Paul was describing what love looks like when it’s in action; what our lives might look like if we respond to what Jesus has done. It might just provide an answer that is as far away from the Trump solution as is imaginable.